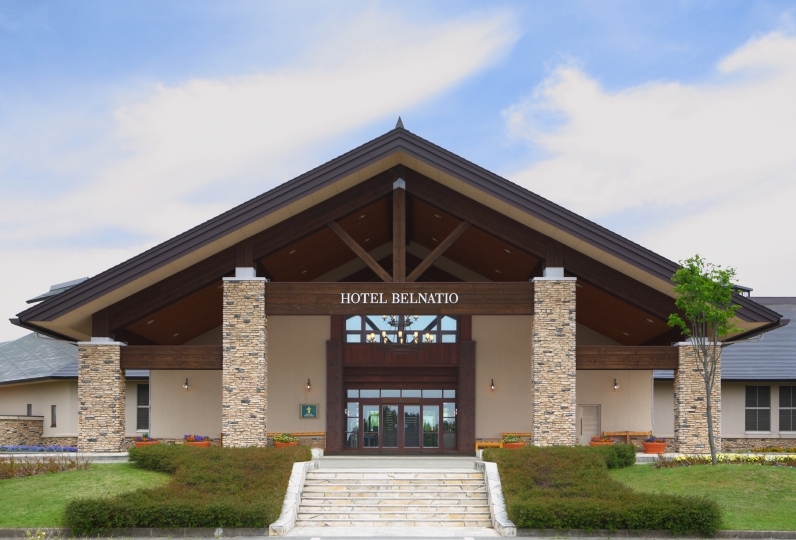 This is a warm welcoming hotel where "Tadaima (Welcome Home)" is the common word. 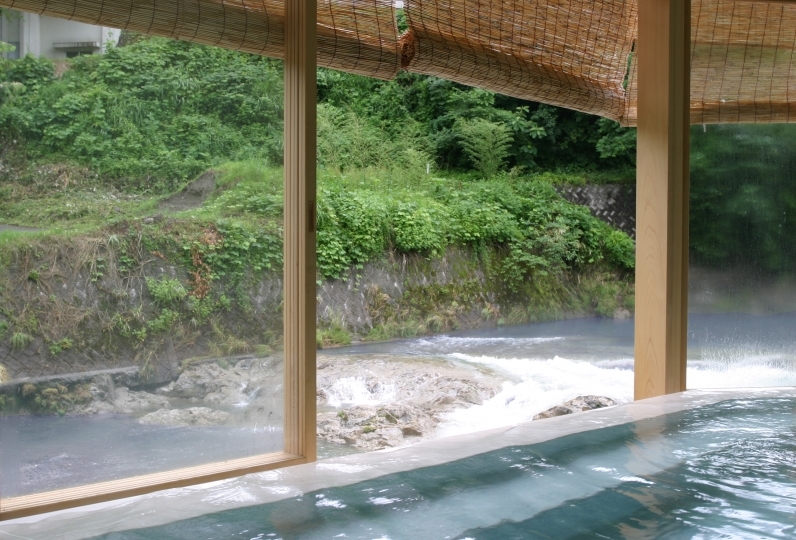 The hot springs at the Onsen are one of the Strongest Mineral Onsens in Japan. 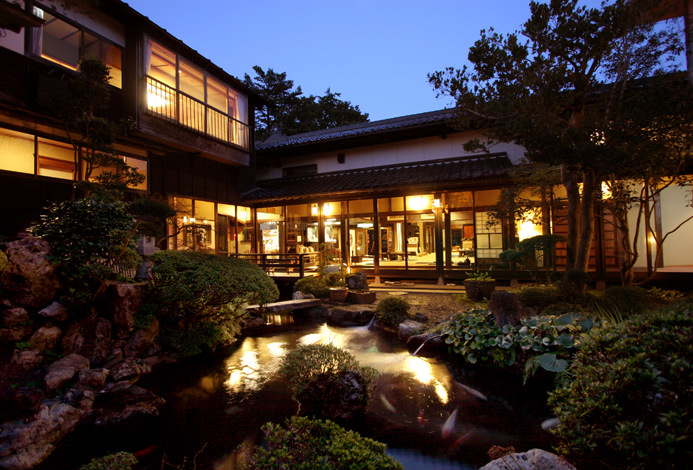 It has been treasured as a medical bath, and has treated many people from all over Japan. The 17 rooms that are located in the 3 buildings all have different styles. 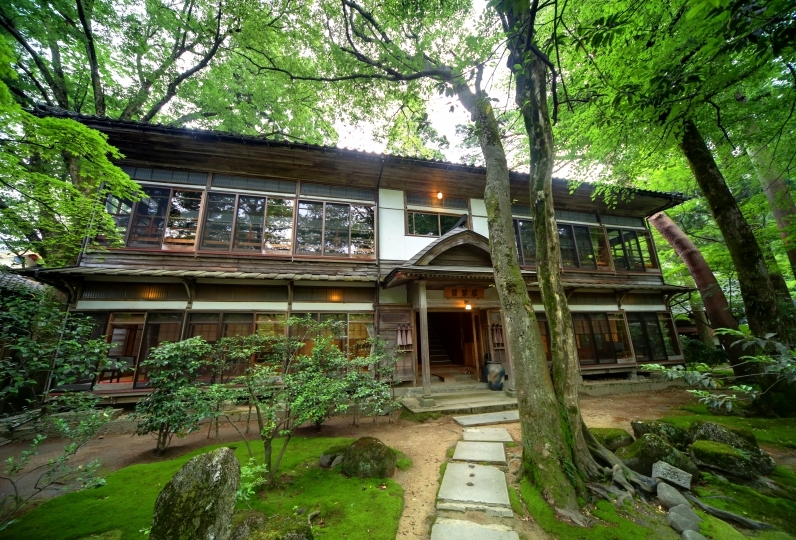 Have a peaceful time relaxing in this Ryokan with an atmosphere from the start of the Showa period, listening to the murmuring of the mountain streams and the green nature. 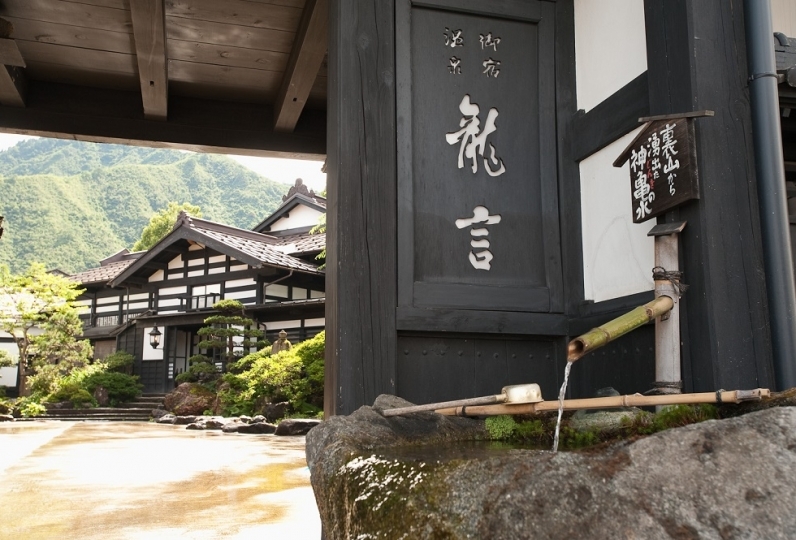 Experience a stay enjoying bathing in the Onsen and enjoying the nature at this authentic Ryokan where Shogi tournaments are also taken in place. Thank you for preparing the best room this time. I was looking for a hot-spring inn where the meal was delicious, but everything was very tasty and it was a meal that you can enjoy with the eyes or tongue without being brought to the stomach though it is a lot of quantity, I was satisfied more than I supposed. 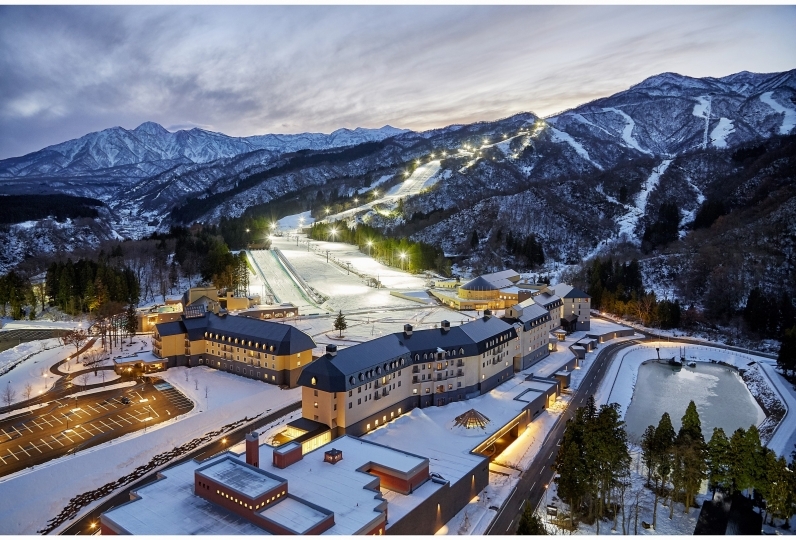 Although it was a travel which doubles as a consolation of my parents, it was a night in a relaxed atmosphere as if it came to another world, but I was able to really relax both mentally and physically. My mother also said that it was one of the inn you would like to visit again. Thank you very much. 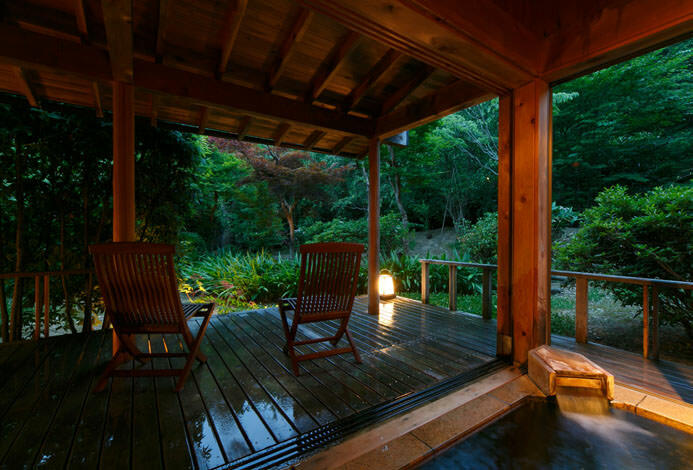 ■Free Private Spa "Yama no Yu"
"Yama no Yu" is split up to 2 baths: "Ishiyu" and "Fukayu" and there are indoor spas and outdoor spas in both of them. 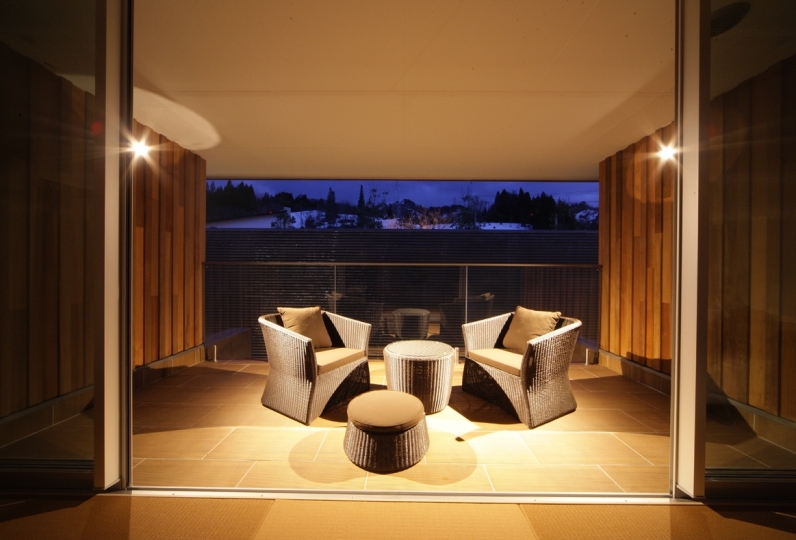 Our hotel guests may use the private outdoor spa one by one in order. After the private reservation slots (16:00-22:00), the spa is open as a private spa for free without any reservations. For guests who are here only during the day, other than cleaning hours (12:00-13:00 and 15:30-16:00), Ishiyu and Fukayu will be gender segregated. There are both indoor spas and outdoor spas in both of the men and women baths. 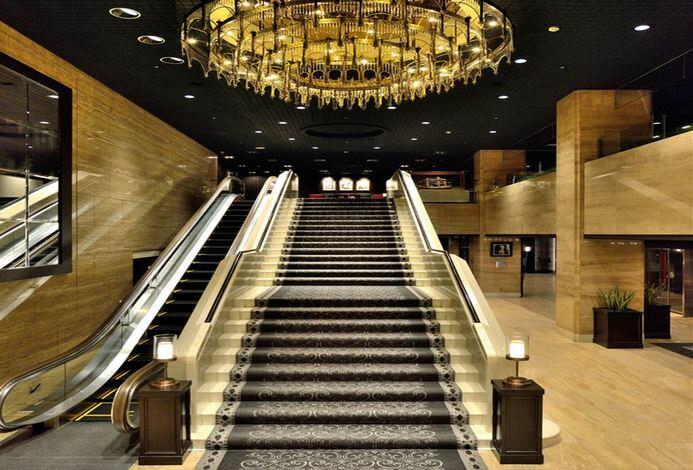 ・The private reservation slots are from 16:00-22:00. Receive the keys at reception and please lock the room from the inside during your use. 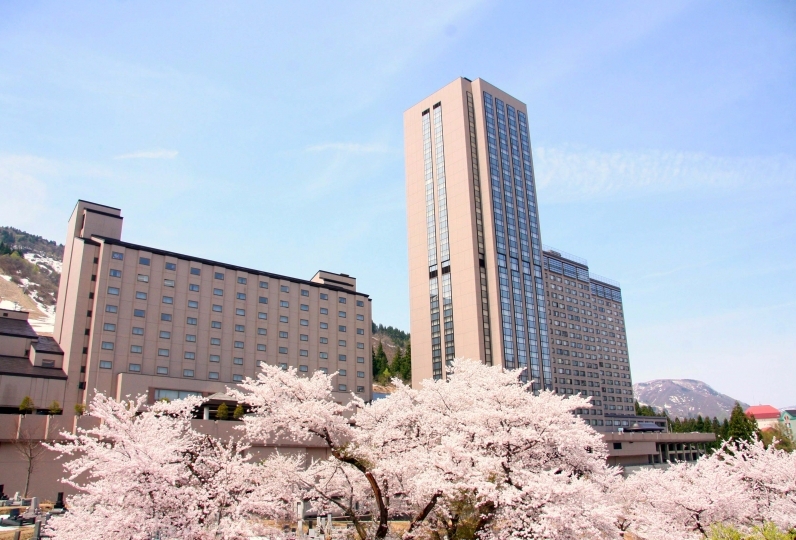 ・You may reserve your slot during the private reservation slot times upon check-in. 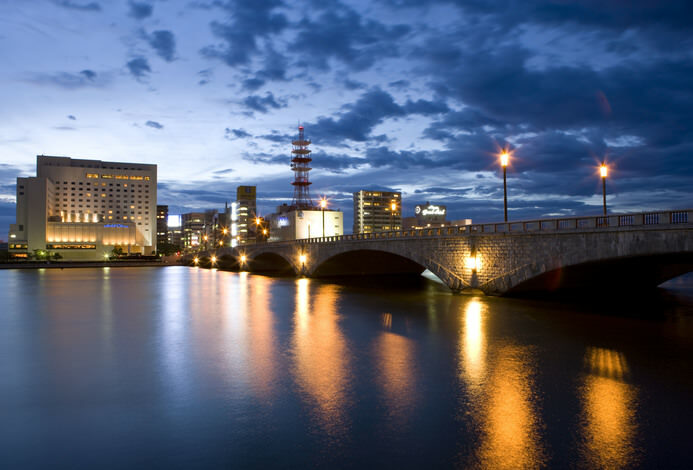 ・One slot is approximately 30-40 mins. ・The two baths will be swapped during the day. We might send the mail of the reservation confirmation. We will cancel your reservation if we don’t hear from you within 3 days. will be charged for adults.